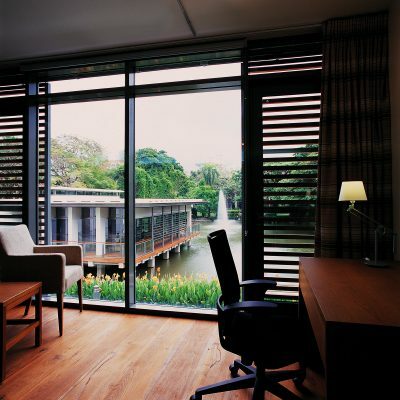 We have re-planned the British Embassy Compound in Bangkok, to provide 7,000sqm of new residential accommodation, recreational facilities and staff amenities for the Foreign & Commonwealth Office. 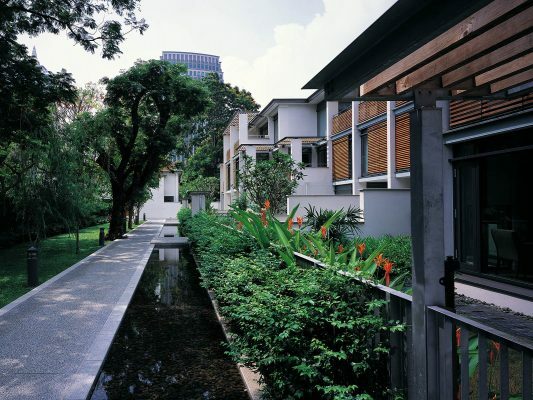 The compound is a green oasis, which is unique to Bangkok’s busy city centre. 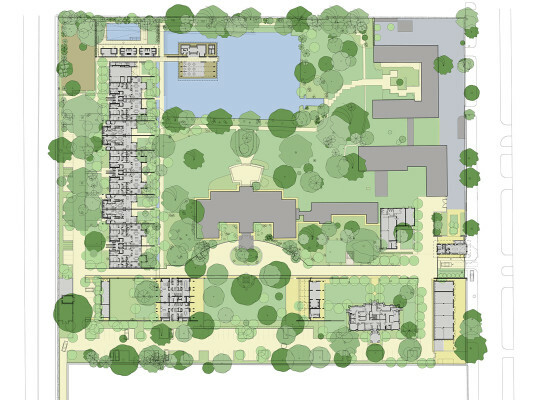 Creating a new main entrance, the site plan provides a new lateral approach to the Ambassador’s Residence in the tradition of the English Country House, where the landscape and Residence are revealed gradually through a sequence of views and spaces. 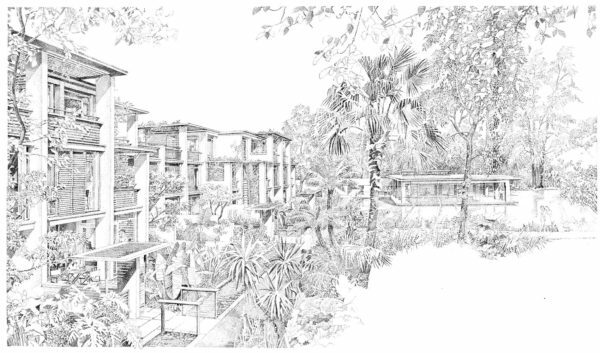 The design proposals respect the rich local ecology of the Embassy compound, which is retained and enriched through sensitive placement of new buildings with green terraces, which cascade into the lush landscape. 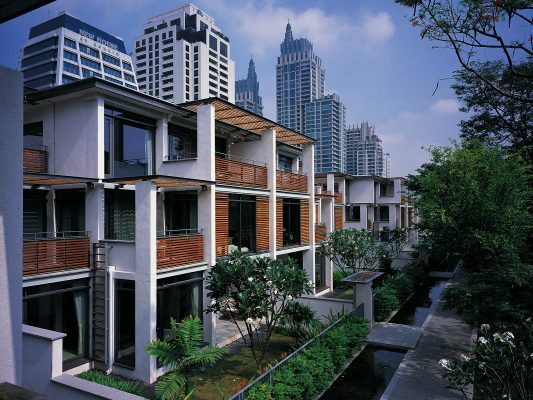 The architectural language of the residences expresses the energy efficient, sustainable solutions incorporated in the design, and have been selected to suit the hot and humid Bangkok climate. Through strong team work, and in close liaison with the FCO and Embassy staff in Bangkok, the multi-national project team has created a tailor-made environment of high quality to represent Britain in Thailand. 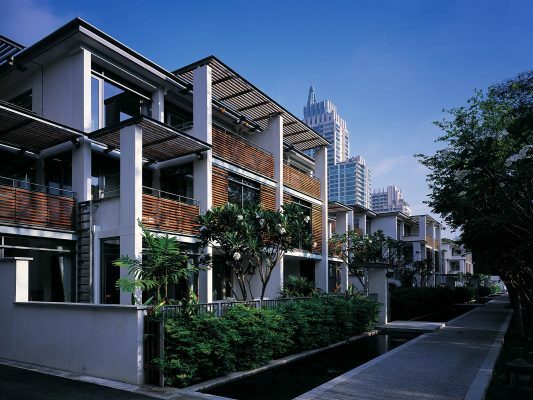 The Residences have been arranged along the western side of the compound, with the recreational facilities at their northern end, exploiting the secluded water side location. Our ideas for the planning of the residences have allowed for a mixture of flats and houses which provided the client with flexibility during the design development by being able to vary the proportions of units. 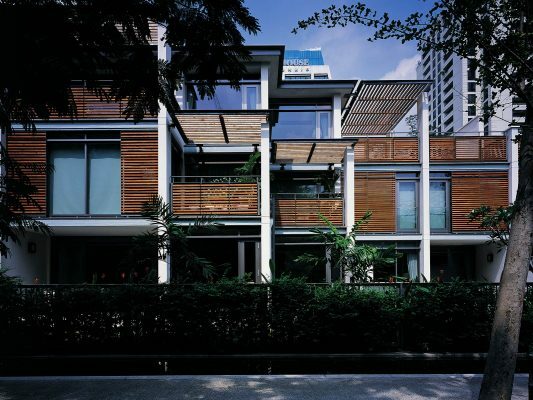 All the living spaces face towards the gardens, screened by the existing dense planting – all with private outdoor spaces, terraces and hanging gardens in a layered elevation. 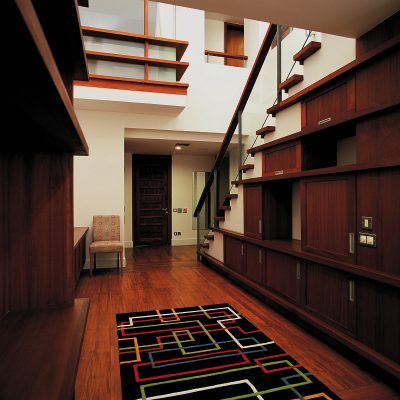 The intention is to allow the opening up of the living spaces into the landscape while preserving privacy. Technical staff facilities Stores and workshops Security facilities.